Channel 4 has confirmed plans to relaunch FilmFour as a free-to-view channel in July. The move, which will give Freeview, the UK’s free-to-view digital terrestrial platform, its first movie channel, follows negotiations with BSkyB. FilmFour will also become a free channel on Sky’s digital satellite platform, and on cable. Channel 4 CEO Andy Duncan is hoping that advertising revenues will soon exceed subscription income generated from FilmFour’s 320,000 subscribers which each paid up to £7 per month for the service. The relaunched channel will screen six movies—classics as well as modern Hollywood releases—per day from 3pm to 3am. Duncan said Channel 4 chiefs had learnt from the experience of their entertainment channel E4, which launched as a subscription channel but went free-to-view last May. E4’s advertising revenues are expected to double to £90m per year by 2007. He said he was convinced that a “desirable brand like FilmFour” could make an impact on the wider audience made possible by going free-to-view. Channel 4 reckons FilmFour will reach 18m digital households by the end of 2006. FilmFour’s sister channel, FilmFour Weekly, will close. 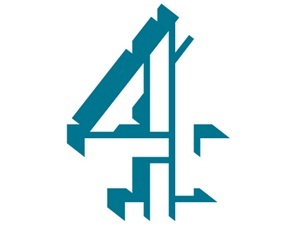 Channel 4 said it was planning a FilmFour video-on-demand subscription service on several distribution platforms including broadband later this year.